Our largest nymphs are on the verge of adulthood, weigh about 3 grams, and are highly nutritious feeders for bearded dragons, large chameleons, tarantulas, and other similarly-sized animals. Extra large Dubia roach nymphs make excellent primary feeders for animals that can handle big insects. These roaches are about as big as Dubia nymphs get before they mature into adults, and they are super nutritious too. They contain all the vitamins, minerals, and other good stuff Dubia are famous for! 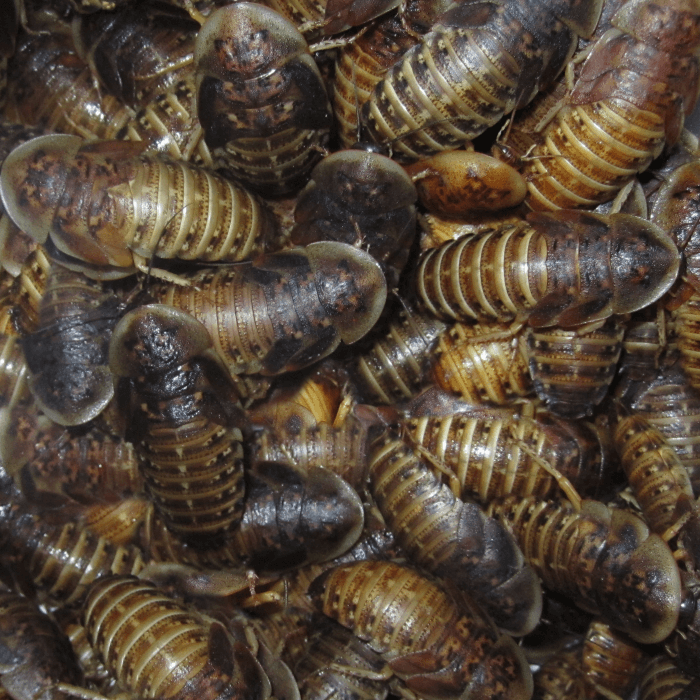 At around 2 grams each, 1-½ inch Dubia roaches have stuffed in the food nonstop for about 4 months. They are almost always in their last instar (growth stage) before adulthood. In fact, some may even turn into adults before they arrive. Their substantial size means their exoskeletons are thicker than smaller nymphs. However, they’re still very low in chitin relative to other feeder insects. 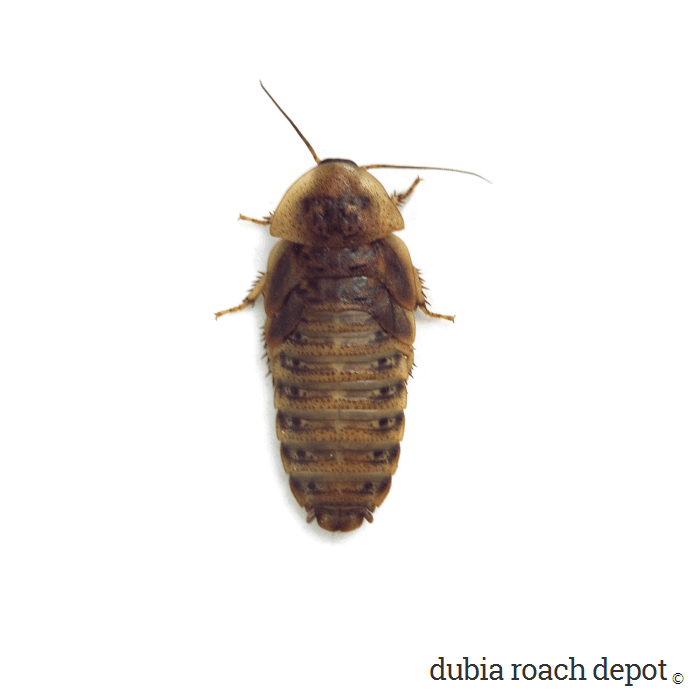 As we’ve said many times before, Dubia are outstanding feeder roaches for many reasons. Superior gut load-ability is one of the big ones. This is where large Dubia Roaches really stand out. Literally. These guys can pack in an enormous amount of food, and when they do, it’s very easy to see. Their full stomachs cause significant body elongation. For those into gut-loading, a bulging belly is the signal they’re ready for feeding. 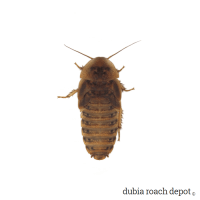 Interestingly, the difference between a hungry, dehydrated Dubia roach and one that’s fully fed and watered is often double its body weight, and sometimes even more. 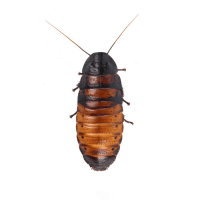 This highlights why it’s important to feed these roaches nutritious foods that are not only good for them, but also good for the animals that eat them. 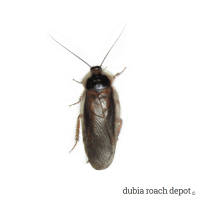 To sum it up, we believe the superior innate nutrition and exceptional gut load-ability of the Dubia roach results in a nutritionally superior feeder. 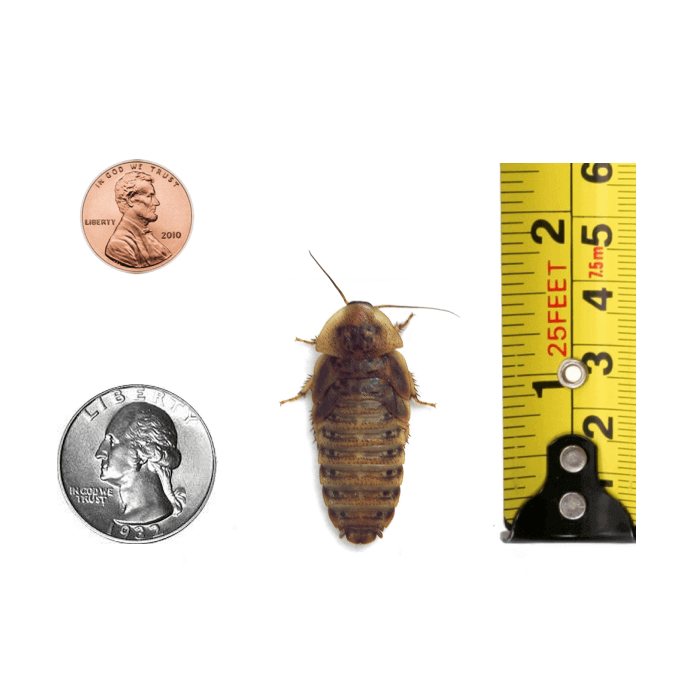 Like all our roach stock, we raise our 1-½ Inch Dubia on distilled water, fruits and vegetables, and our own roach chow formulation. Our roach chow contains nutrients targeted to support each stage of development, and it has them in abundance. Of course, we feed our organic Dubia organic fruits, vegetables, and feed made from organic ingredients. These late-stage nymphs are replete with nutrition accumulated over a lifetime of feeding on nutritionally targeted foods. These roaches may vary in size. 1-½ inches is about their maximum length when fully fed and hydrated. Their size in the moment depends on hydration status and feeding schedule. Shipping is stressful and they will be hungry and thirsty upon arrival, so give them food and water. If they’re too large for your animal, let them go a few days without food. Big healthy roaches. My bearded dragons love them!